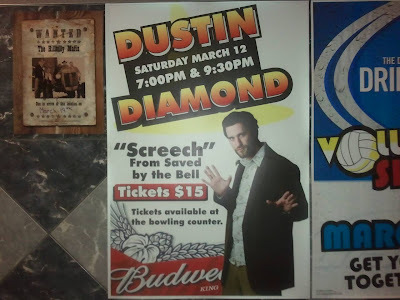 DUSTIN DIAMOND – ESCAPING "SCREECH"
I opened for Dustin Diamond this weekend. Of course, after all the negative press he’s gotten, I was worried he was going to be a jerk. Can you blame me? I watched Celebrity Fit club and followed his exploits on TMZ. 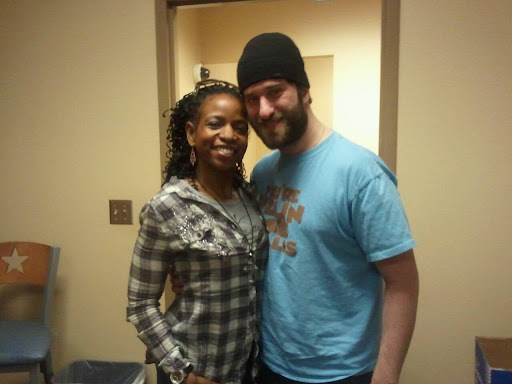 But when I actually met him, Dustin was a very nice guy, who just wants to make some folks laugh and make some money like the rest of us. Dustin seems to go from one extreme to the other. First, he’s the squeaky clean and beloved geek you grew up with on the small screen. Then he’s the villian on Celebrity Fit Club and doing sextapes. Now he’s the dark and dirty comic ready to shock those memories of “Screech” right out of you. Like a lot of people, Dustin’s looking for a paycheck. He told me some crazy stories. The craziest – Dustin’s story about a drunk audience member pulling a knife and threatening to stab him during his show. Yeah, I’ve never had that happen at a show. Don’t want it. Would you? It’s gotta be tough – Spending so much of your life trying to find yourself. Having all these people think that you’re someone that you’re not. Then having them dissapointed in the real you. At least, it sounds pretty tough to me.